Prof. Andrew Hadfield (University of Sussex) will be presenting a paper today on ‘Lying in Early Modern Literature’. Find out more about the research seminars in the School of English, Communication and Philsophy here. 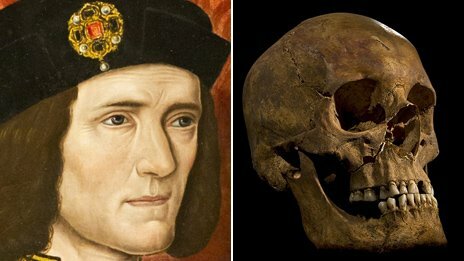 ‘It doesn’t look like the face of a tyrant’, declared Phillipa Langley as she stared longingly at the reconstructed head of Richard III at the end of Channel 4’s extraordinary documentary Richard III: The King in the Car Park. Langley, whose passion for Richard led to the discovery of the Plantagenet King’s skeleton in a car park in Leicester, had finally found the Richard she was looking for and was overcome with emotion, ‘You can kind of see the man really, can’t you…and there’s no Tudor mythology all over him.’ By ‘Tudor mythology’ Langley implicitly means Shakespeare’s play Richard III. The Tragedy of Richard III, one of Shakespeare’s most enduring and compelling explorations of villainy and performance, has become, for the public imagination at least, historical record. As the play opens we are greeted by a ‘deformed’ and ‘unfinished’ ‘bunch-backed toad’ who is so morally repugnant and so full of malice he has no cares in confiding to the audience – in one of the most famous speeches in all literature – that he is ‘subtle false and treacherous’. And, remarkably, he charms us. Shakespeare’s Richard straddles the play and theatrical history like a colossus. His physical deformity, as Freud would later demonstrate, is entwined with his psychological state: Richard is a villain because of his of his disfigurement. It is no wonder, then, that one of the central assertions of the Richard III Society is that the King never had a ‘hunch-back’. And, by implication, if he never had a hunch-back then he could not possibly have been the ‘murderous Machiavel’ as depicted in Shakespeare’s ‘Tudor Myth’. Much has already been written about the Channel 4 documentary – mostly of the negative sort. The main focus of this negativity has been the lack of thorough scientific investigation and Phillipa Langley herself, whose histrionics led the reviewer from The Telegraph to write ‘the level of emotion she had invested in every twist and turn, you could have mistaken for the dead king’s widow.’ To bemoan the documentary for its lack of scientific rigour, however, is to miss the point of the programme: this was a story less about Richard III and more about a woman who obtained the object of her desire only to find, in a cruel Shakespearian twist, that the object was defined by the very feature she, and the Richard III Society, had sought to eliminate form the discourse surrounding the King. The documentary was, in truth, a fascinating character study. It is unusual for television to actually confront a person directly with hard-evidence that absolutely contradicts their almost religious faith in the ‘truth’ of their opinion. In the world of Shakespeare Studies, where fabrication and conjecture are mostly the default modes of biographical analysis, Langley’s response is the equivalent of someone hypothetically presenting Derek Jacobi, an ardent Oxfordian, with a signed confession by William Shakespeare of Stratford saying ‘I wrote Hamlet and here’s a video-tape of me doing it.’ What is of interest in both Langley’s and the anti-Stratfordian’s cases is they feel the need to diminish ‘Shakespeare’, whether by saying he was a Tudor propagandist, or simply the front man for the Earl of Oxford. ‘It doesn’t look like the face of a tyrant’…we will never know. Yet if there is one element that is powerfully present in all of Shakespeare’s plays it is this: always be wary of representations and, indeed, ghosts. Michael Goodman is a PhD candidate at Cardiff University. The skeleton had suffered 10 injuries, including eight to the skull. 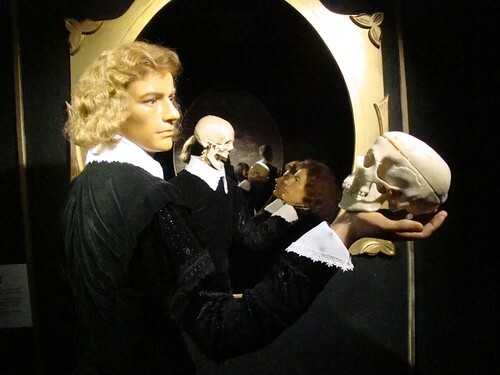 The bones, which are of a man in his late 20s or early 30s, have been carbon dated to a period from 1455-1540. Richard was 32 when he died at the Battle of Bosworth in 1485. For “a note of sceptism” see here. 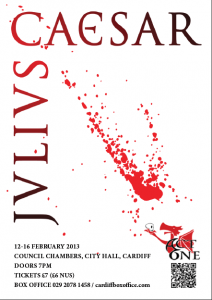 You are currently browsing the Cardiff Shakespeare blog archives for February, 2013.